(Natural News) It’s a long-held notion that tomatoes are one of the healthiest food items that people can include in their diets. One of its major nutrients is lycopene, a powerful antioxidant that has been found to protect the body from infections and repair damaged parts of the body. Lycopene’s cardiovascular benefits and cancer-fighting properties are no secret, but a new study suggests that the fruit’s cancer-fighting properties aren’t limited to its lycopene component. The study, which appeared in the Journal of Cellular Physiology, examined how whole tomato extracts from two varieties of tomatoes from Southern Italy affected cancer cells in the stomach. The researchers studied whole tomato extracts of the San Marzano and Corbarino tomatoes, finding that the extracts were able to put a stop to the growth of cancer cells, MedicalNewsToday.com reported. More than that, they discovered that the extracts were able to interfere with cancer cell migration from the primary tumor to surrounding parts. Even more astounding, the researchers found that the extracts led to the death of the cancer cells. Stomach cancer is predicted to affect 17,750 men and 10.250 women in 2017, the American Cancer Society (ACS) said. A good number of those diagnosed are expected to die from the disease — in particular, 6,720 men and 4,240 women. According to the organization, stomach cancer mostly affects the older demographic, with the age of patients averaging at 69, and majority of diagnoses (six out of 10) occurring in people over the age of 65. The results highlighted that the cancer-fighting properties of tomato extracts did not come from just one compound, but from the whole tomato, suggesting that the fruit may be even healthier than previously believed. The findings also suggested that tomatoes are useful not only in preventing cancer, but in curing it, making the fruit worth one’s weight in gold. 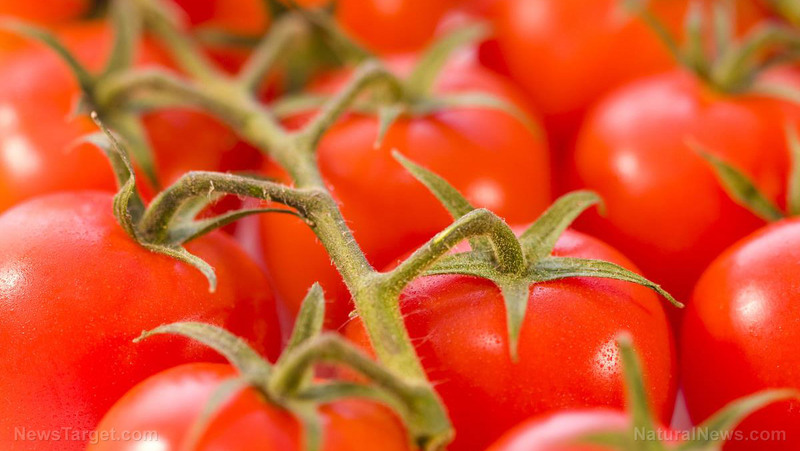 “The anti-tumoral effect seem not related to specific components, such as lycopene, but rather suggest that tomatoes should be considered in their entirety,” study co-author Daniela Barone said. The researchers submitted that future studies should be done to examine the effects of other tomato varieties on cancer cells. Tomatoes are really one of the best foods to include in a healthy diet. The fruit is not only rich in lycopene, but in many other vitamins that perhaps contribute to its cancer-fighting effects as a whole. According to OrganicFacts.net, tomatoes are filled with vitamins A, C, K, B6, folate, and thiamine. Each of these vitamins have their own effect on the body — from promoting eye and bone development to boosting the immune system to improving metabolism. Tomatoes are also an excellent source of minerals such as potassium, manganese, magnesium, phosphorous, and copper. With so much to offer on the nutrient front, tomatoes — without a doubt — have a lot of health benefits. Apart from aiding in cancer prevention, tomatoes also lower cholesterol levels, thereby boosting the cardiovascular system. They can also help counter the effects of cigarette smoke, as they contain coumaric and chlorogenic acid, which fight nitromasines, the main carcinogen in cigarettes. The fiber-rich fruit also aids in digestion, preventing constipation and diarrhea by moderating the release of gastric and digestive juices. The high water content in tomatoes also contributes to the prevention of urinary tract infections, and boosts the removal of toxins from the body. Get the latest on cancer studies and breakthroughs on AntiCancer.news.